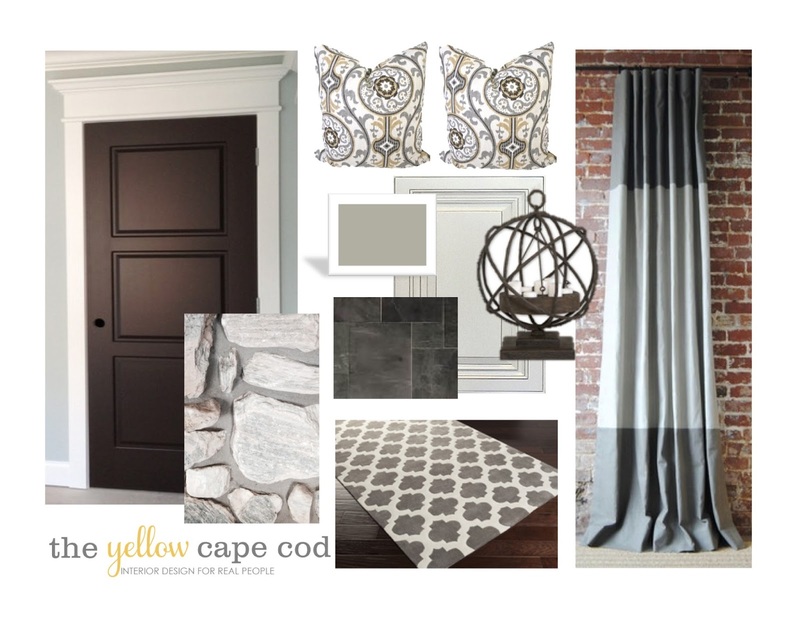 I have two exciting announcements this morning…First, The Yellow Cape Cod Design Studio now has openings for new projects! I'm humbled to say that after having been booked solid for two months and then working our way through the waiting list, we are now available to take brand new online design reservations! If you are interested, please click here for more information. 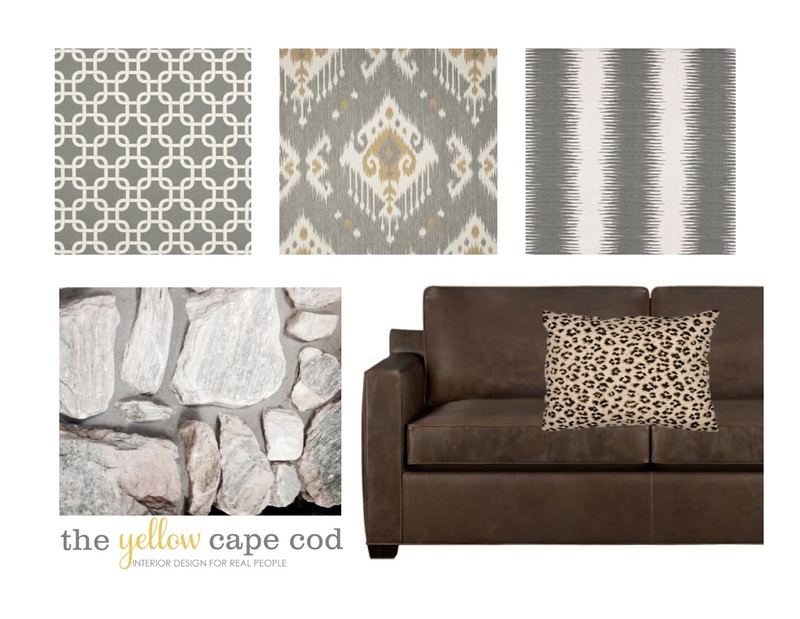 The second important announcment…The Yellow Cape Cod Design Studio is now offering gift certificates for our online design services. This is a great holiday gift idea. If you would like to purchase a gift certificate simply follow the instructions to make a reservation here and type "gift certificate" in the notes section during check out. 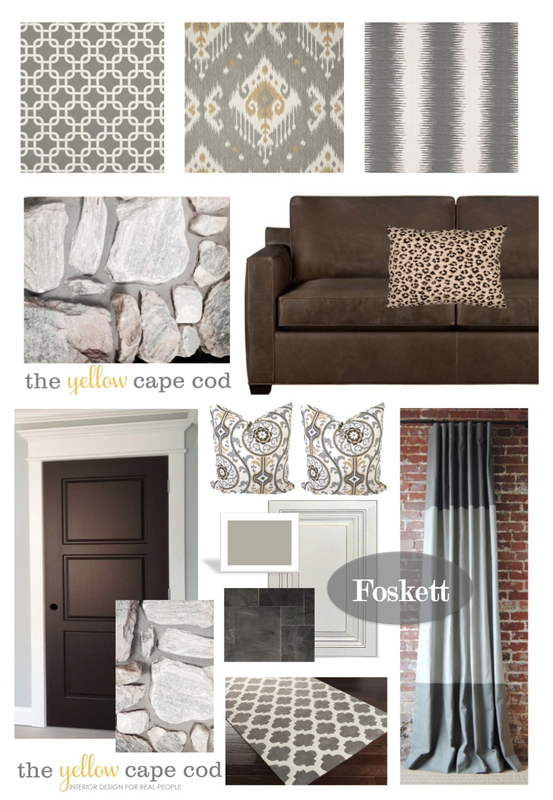 This design was created for a young family in the process of making updates to their gorgeous lakeside home. (All product and image sources are listed at the bottom of this post). The look we created is slightly rustic, yet sophisticated and refined. With a little nod to the lake-side setting. The home already has many beautiful features like a two-story stone fireplace. We introduced a rich, dark stain on the window trim, interior doors and wood floors. 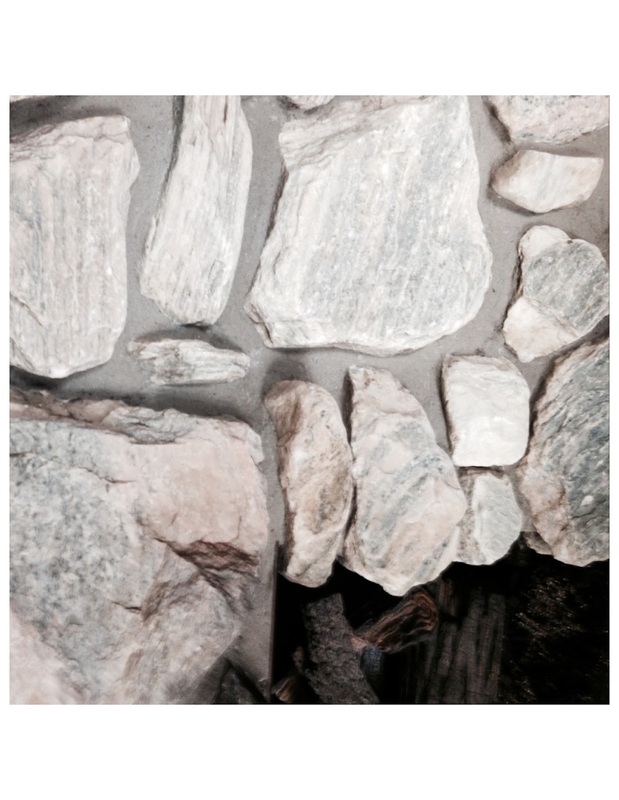 I chose a warm, gray wall color that provides the most amazing contrast to the new dark stain and also plays beautifully with the existing stonework. The kitchen has been recently renovated and boasts beautiful cream colored cabinetry and warm, neutral, granite in shades of tan and brown. The fabrics and accessories we brought into the adjoining family room and foyer tie the color palette of the entire lower level together, providing seamless flow. This is a big benefit to designing multiple rooms at the same time (please see our design services menu for information on our multi-room discount). If you would like to get started on a design plan for your home, please visit my design services menu. After an online consultation that includes viewing photos and measurements of your space, we will get to work creating a professional, custom design plan tailored to your style preferences, budget and lifestyle. Your plan may include all new items or we can incorporate existing pieces, whichever you prefer. With each design plan, you will receive an inspiration board (like the example shown in this post), a true to scale floor plan illustration (a birds eye view of your space featuring the items in your plan), a product source list with links to each item shown in your plan, and step by step instructions on how to implement your new design.